miche rep in new york | Sophisticated Diva ~ A.K.A. Along came Polly! Miche ALL NEW compensation plan! Become a Miche representative today! A Satisfying Career. Being Your Own Boss. Getting Paid to Have Fun! Miche has an ALL NEW, lucrative business opportunity!! Increased commissions, improved quick start program, and a fabulous career await you! Only $149 to start your own Miche business~ REPRESENTATIVES NEEDED NATIONWIDE! Miche has revolutionized the accessories industry by creating an entirely new and unique concept in handbag design. Thousands of women all over the world are falling in love with their changeable purses—and you can capitalize on this exciting new trend by becoming an Independent Miche Representative and living the Miche LifeStyle. Living the Miche LifeStyle is all about . . . freedom . . .
Freedom to be your own boss and work as much or as little as you want, depending on what’s most important to you at any given time in your life. Freedom to help women discover their own unique sense of style and express themselves through our unique line of chic, convenient and affordable handbags and accessories! It’s a truly “happy” way to make a living—it’s what a job should be! Freedom to be home with your family and still help with the budget. Freedom to become a handbag tycoon if that is your goal, and just keep growing, and growing, and growing . 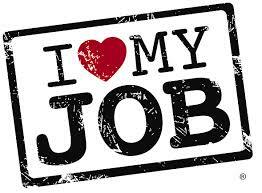 . .
Freedom to have a career where you truly are making others HAPPY! Freedom to have the the independence of of the Miche LifeStyle! Your new Miche business can be the key to getting exactly what you want for yourself and your family, both now and in the future. With my support and encouragement you can start today and select a Starter Kit for as little as $149. It contains everything you need to be successful with your Miche business. In this kit you will find your business supplies and training materials along with samples of beautiful Miche Base Bags and Shells. You can earn up to 35% in commissions each month on the Miche products you sell. As a Miche Representative, you will offer our unique line of products through Miche Parties, and help is available to you every step of the way! Representatives earn a commission based upon their sales. While commissions vary, they tend to be in the range of 25-40%. You already love our handbag, so why not also give yourself the potential to earn an excellent income by helping others fall in love with our bags too? NO recruiting required, you can earn up to 40% commission based on your own sales volume! We ALSO have a FABULOUS QUICK START program, where you can earn PRODUCT CREDIT based solely on your personal sales, as well as product credit bonuses as you develop a team, and a cash bonus if you reach director within your first 90 days after enrollment! You can earn even MORE if you choose to develop a team, and take the “career path” as a Miche leader— the SKY is the ONLY limit!